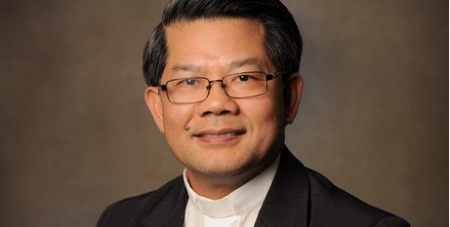 Bishop Vincent Long OFM Con, Australian Catholic Bishops Delegate for Refugees, has condemned the Federal government's decision to ban those who arrived by boat from ever applying for a visa. In a statement yesterday, Bishop Long said: “The announcement by Prime Minister Malcolm Turnbull and Minister for Immigration Peter Dutton that the government will introduce proposed legislation banning those who have arrived in Australia by boat from July 2013 onwards from ever being able to apply for a visa to Australia is deeply disappointing. “Seeking asylum even by boat is not illegal. It is a basic human right. Yet not content with demeaning them, the Australian government now want to introduce laws that will ban them from ever coming here. “The motives for these measures, in light of the current situation on Manus Island and Nauru, and in light of the bigger challenges facing Australia, are questionable at best and sinister at worst. Domestic advocates and international agencies have been appalled by the conditions under which asylum-seekers live and the effects on their health, spirits, and self-respect. "To single out and punish further a small number of people who came by boat, even if they are found to meet the refugee definition is deliberately cruel and un-Australian. It betrays the tradition, status, and character of the country that we are proud of – a richly resourced country with a big heart for migrants and refugees. “I urge all Australians to reject these cruel and unnecessary measures. We must find a more just, humane and effective way in dealing with the complex issues of seeking asylum and refugee protection. Inflicting more pain and harm to a small group of people who have caused us no harm is not worthy of all fair dinkum Australians.